A mysterious “fear disease” is scaring to death the citizens of Longzhou, China. Literally. Victims go insane or die frozen in terror, while survivors rant maniacally about demons infiltrating the city. But what’s really behind the sudden epidemic? To find the answer, Chief Inspector Luo Fei teams up with a controversial historian and a brilliant psychologist to track down the true source of the illness and halt the wave of horror that threatens the metropolis. As the trio ventures to the primitive jungles and mountains of Yunnan, they’re haunted by tales of a seventeenth-century general whose demonic soul, said to have been sealed away in a vial of his blood, has been unleashed on the modern world. 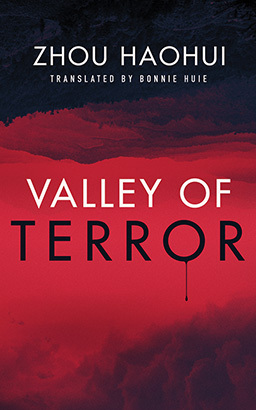 Now, trekking deep into the legendary Valley of Terror, they find themselves being stalked by someone—or something—daring them to uncover the truth. And as superstition, science, and history collide, their discovery could be as heart-stopping as fear itself.